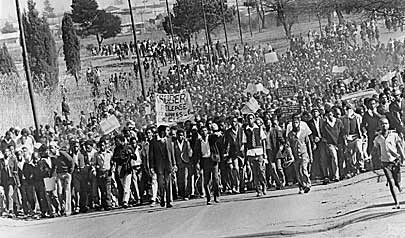 As shown in this picture, many black South Africans are shown protesting against the Apartheid movement, which started in the late 1940's. 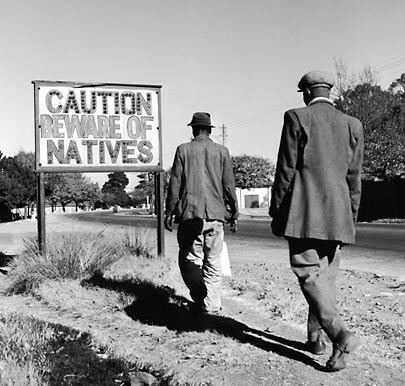 The Apartheid was a system of racial segregation between the black South African people and the Afrikaners, or the Dutch of South Africa. 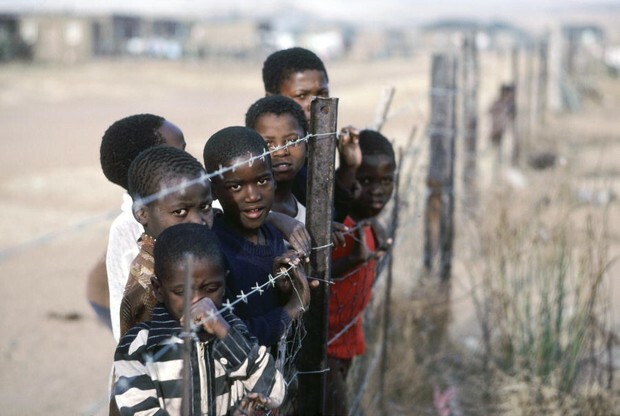 All black South Africans were affected during the time of the Apartheid, even the children. The education received in black schools were inferior compared to those of the whites. Also, Christian schools throughout South Africa had schools promote the Apartheid, and if this was not done the government threatened to cut school funds. When the Apartheid started, the government was based on education to make the relationship with the Europeans more "proper." The South African government started forcing universities to only teach students the language of the Dutch and British people of South Africa, known as Afrikaans, instead of English. Overall, African education was being watered down by the government, attempting to keep that "proper" relationship with the Europeans. Laws strongly favored the Afrikaners, reserving landownership, jobs, and especially education. For example, all blacks had to carry pass books that stabilized they're movement and employment. It is safe to say that the South African economy was affected during the Apartheid. One large impact was the international sanctions put upon them by the international community. The United Nations saw the Apartheid as a criminal act for the South African government and it was condemned. The economy declined because of this. The Apartheid era ended in the early 1990's, and this was not only good for the people and government of South Africa, but also all over the world. Today, South Africa is apartheid and segregation free.